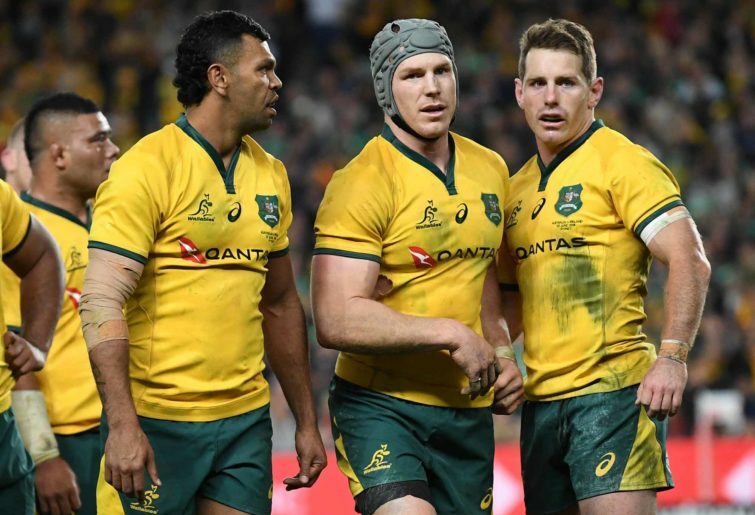 That is the only conclusion that can be drawn after yet another Test loss by the Wallabies, taking the year’s tally to an unacceptable nine out of 13 matches. 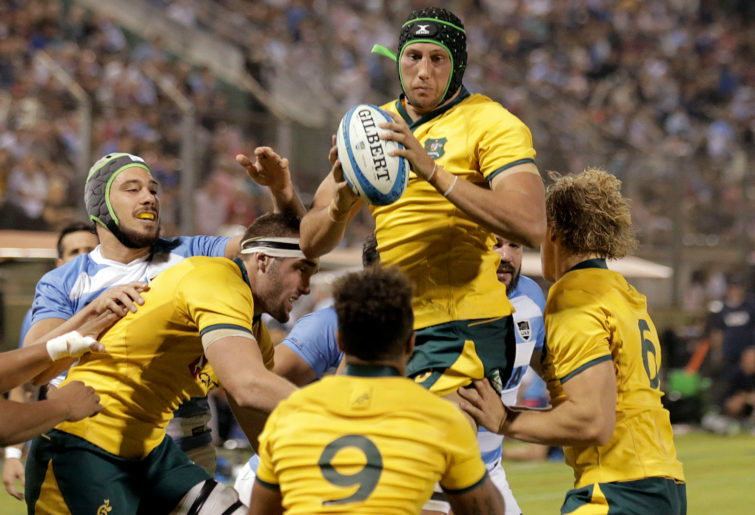 The abject nature 37-18 loss by Australia to England at Twickenham suggests, too, that the Wallabies project, the only moneymaker for Rugby Australia, is in a terminal decline. For the first time in 109 years Australia has lost six successive Tests to England. And this year, only two of the six Tests in the Rugby Championship were won. The three Tests against the All Blacks were lost. And only one of the three Tests on the northern hemisphere tour – against Italy – was won. This terminal and inevitable decline will destroy the wealth, the reputation and the strength of Australian rugby if it is not challenged with drastic and immediate action. That drastic action requires the firm use of the axe. The chairman of Rugby Australia, Cameron Clyne, needs to call an extraordinary meeting where he and the rest of the board resign and hand over control to a new board that is expert on rugby matters. The new board then needs to take an axe to the Wallabies coaching staff and to senior members of the administrative hierarchy. We need the likes of John O’Neill, Alan Jones, Bob Dwyer, Andrew ‘Twiggy’ Forrest (perhaps) to give leadership on a reconstructed board to a younger group, men and women, who are interested in promoting the success, values and interests of rugby in Australia, and not a personal ideology. I have written about Australian rugby since the early 1980s. I would call this the worst chairman and most uninformed board that has governed the rugby game here in that time. A fish rots from the head. We have in Australia a board and a chairman obsessed about political correctness and ignorant about rugby correctness. It is a board that is absolutely secretive, to the point where no one outside of the board has a clue about what it is doing and deciding, or whether it is even deciding or doing anything. What does the board decide on at its meetings? When are these meetings held? What is the Plan A that Michael Cheika touted for the Wallabies before the tour and was endorsed by the RA chairman and chief executive? In fact, what were the criteria, that allowed Raelene Castle, someone with a background in netball and rugby league, to be appointed chief executive of RA? Castle’s performance handling the Kurtley Beale/Adam Ashley-Cooper incident suggests that she has no idea how a team like the Wallabies, the brand leader for Australian rugby around the world, should behave to protect their image. The fact is that she and the Wallabies coach Michael Cheika were not told for nine days about the incident. This silence on the part of the Wallabies leadership group should have provoked a vigorous inquiry into what really happened and why the leadership group decided to keep the incident a secret within the team. This was then followed, when Cheika found out about it, by the Wallabies coach effectively lying to the media about why Beale was not selected to play England, and then trying to deny that he was lying. The incident was only admitted officially when the Australian rugby media (Wayne Smith particularly) started asking questions about it. The Australian rugby public needs to know why Castle believes “it is not a big deal” for two senior players to break with a long-standing protocol that guests are not allowed into the hotel rooms of players, then keep the incident secret from the coach and the chief executive. The Australian rugby public needs to know what actually happened in the hotel room. Why there has not been an official investigation? Why the cover-up by the leadership group of the Wallabies has been accepted? And whether or not Cheika’s condescending argument that it would have been “counter-productive” to what he was trying to achieve as a coach if the incident had been handled in an open, forthright manner is approved behaviour for a Wallabies coach? It is clear that the players kept the incident secret because they wanted Beale and Ashley-Cooper to play in the crucial Test against Italy. By forcing with their silence the precedent of these players playing in a Test after the incident, the leadership group (more appropriately, the lack of leadership group) believed presumably that Cheika would then allow them to play against England. So it is OK for the players to keep secret an incident that, finally, saw the two Wallabies involved stood down from playing in an important Test. Everywhere you look in the administration of Australian rugby, on and off the field, we find this sort of incompetence. The high performance unit within RA needs to be re-charged with someone like David Nucifora, the successful Brumbies coach and now helping to revitalise Irish rugby as their high-performance boss. At virtually every level of rugby, at the men’s and women’s Test level, at the under-20s, Super Rugby, even the local provincial competition (won by a Fijian side this year), at the Sevens level, even, we find Australian teams playing brain-dead rugby and producing poor results as a consequence of this lack of skills and tactical thinking and practice. The media, even outside of Australia, has now taken to calling the national side “the woeful Wallabies,” an echo of the demeaning phrase used first in the 1970s when New Zealand money had to rescue the rugby game in Australia from collapse. The Wallabies are now the subject of ridicule from the rugby world, inside and outside of Australia. Steve Hansen has been proved right when he complained last week that playing the Wallabies in three Tests each year does not prepare the All Blacks properly for playing against the top northern hemisphere countries, especially for home games against these teams. When England kicked off against the Wallabies at Twickenham, I made a note on my writing pad to list if Cheika had given his team some different exit plays, attacking plays and defensive plays. But when the Wallabies received the ball inside their 22 they immediately started to try to run it back in the formations used by the Waratahs and the Wallabies throughout Cheika’s coaching career here. England pressed forward knowing this and forced a charged down kick and a five-metre try. England successfully used the same tactic of scrumming hard to force the blindside flanker to stay bound that the All Blacks used against the Wallabies in the Test in Japan. Throughout the match, too, the Wallabies used only two attacking plays, plays they have used unsuccessfully throughout this year. Play one involved taking the ball up hard and then floating a long pass to a winger or floating forward on the flank. The play worked occasionally but the defence generally handled this attack easily enough, forcing a couple of drifting forward passes. There was no attempt to switch from one side of play to the other in the sequence of bashing up runs. Play two was even more obvious and ineffective. This play required Matt Toomua to drop into the pocket, like a gridiron quarterback, and then to launch a high ball for the Wallabies to, perhaps, contest. There was rarely a contest, though, and Israel Folau, the best leaper in world rugby was sometimes not involved in the chase or jump. The stupidity of this tactic, though, is that the Wallabies rarely got the ball back from England from the play. At halftime the scoreline was 13 – 13. The final score was England 37 – Australia 18, with a try scored at the end of the Test. Clearly the England coaching staff were much more effective with their half-time messaging to their players than Cheika was to his. Cheika has been saying this for three years. This year has been much worse than last year. And last year was not a good year for the Wallabies. Next year is shaping up to be worse. The trend line is going down not up in terms of results. Time is up. 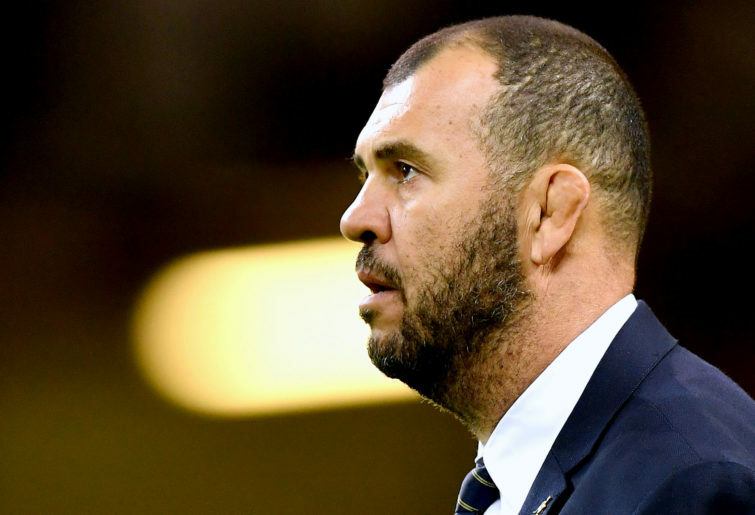 Cheika has to go. There will be good coaches around the world who will jump at the chance of taking the Wallabies into the RWC 2019 tournament. As if to reinforce the argument that the Wallabies desperately need a coach to turn the trend line up, there is the astonishing win by Fiji over France 21-14, in the Stade de France, Paris. The significance of this famous victory is that Fiji, in RWC 2019, is in Pool D, the same pool as the Wallabies. And they are both in the same pool as Wales who, in a mirror image of the Wallabies, beat the Springboks at Cardiff 20-11 for a record fourth time in a row, have won all four of their autumn Tests, and have now won nine successive Tests. This time the RWC 2019 “pool of death” could really be this for the Wallabies if Cheika stays on as coach.